Did you know that the Japanese bombed and occupied two islands in Alaska during World War II? Or that the U.S. Air Force song was written by a pilot from Alaska? 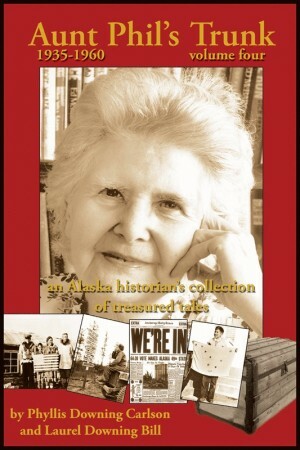 These and many more entertaining nonfiction short stories of Alaska’s colorful past can be found in the Alaska series titled Aunt Phil’s Trunk. Along with the easy-to-read stories, each book in the series is filled with more than 300 historical photographs. Readers from around the world are saying Aunt Phil’s Trunk is a “must have” for anyone interested in the Last Frontier.